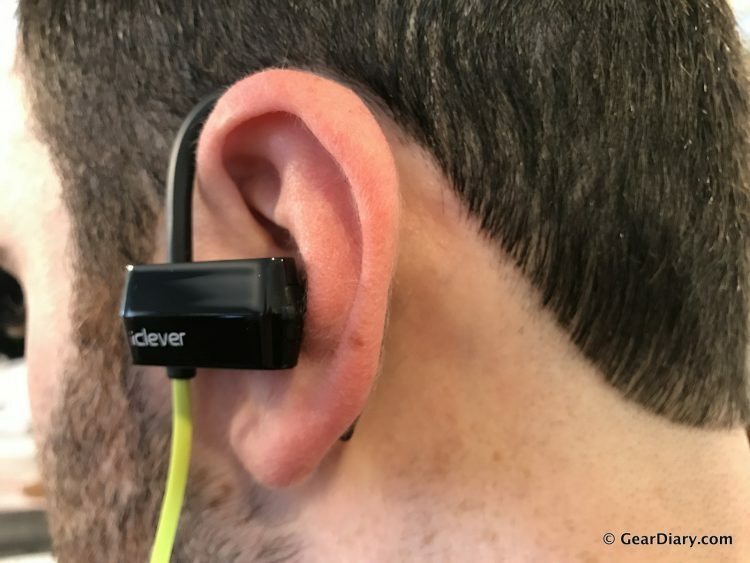 iClever’s BoostRun BTH07 Sweat-proof Bluetooth Sport Headphones are a good budget option if you’ve got an iPhone 7 or 7 Plus without a headphone jack. 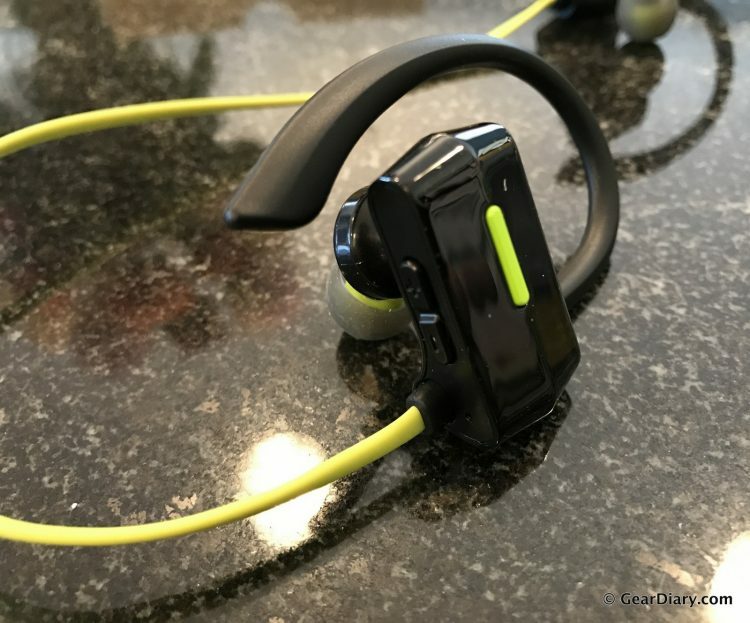 The BoostRuns stay on your ears thanks to the built-in ear hook, and they are certified IPX4 waterproof to protect itself from rain and sweat. At ~$22, The iClever BoostRun are worth checking out. Sporting a control button on the right earbud, the BoostRuns can control your music and answer calls. Speaking of calls, the iClever BoostRuns have a microphone built-in so you can use it for phone calls as well as listen to music. The headphones will even read you the caller ID information of the person calling so you don’t have to pull out your phone. There’s also volume up/down buttons on the right earbud in case your phone is out of reach. On the left earbud, you’ll find the microUSB jack meant for charging that’s covered to protect it from sweat and rain. iClever claims the BoostRun has a battery capacity of 7 hours playtime and 160 hours standby time. The headphones are extremely light, at 0.67 ounces, so they are comfortable and don’t easily bounce around on your ears. 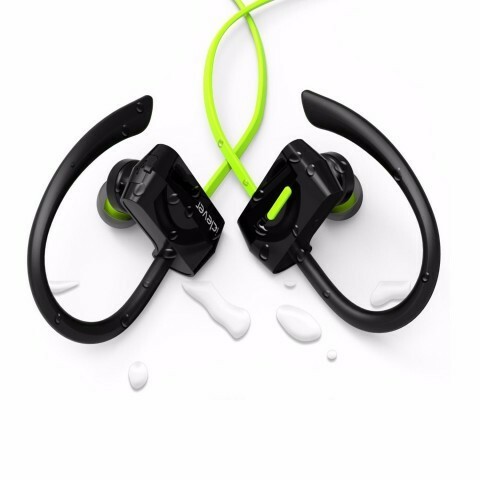 The BoostRun headphones use Bluetooth 4.1, which consumes very little battery power on your phone, and if your phone supports the function, you’ll be able to check the battery level of your headphones on your phone when paired. Pairing the headphones to my phone was very easy, as you simply hold the single control button until the headphones are in pairing mode. The headphones are fairly comfortable, as they come with three pairs of silicon earbuds, allowing you to find the perfect fit. The soft silicone ear hooks keep the earbuds steady on your ears while moving. Unfortunately, though not surprising, due to the location of the microphone at your ear, the microphone did not work very well during phone calls. 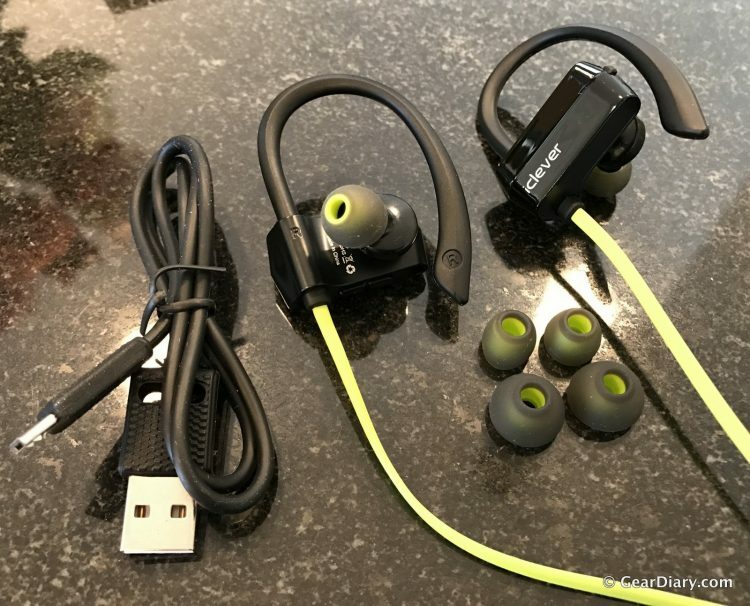 While not the best sounding headphones on the market, the iClever BoostRuns will do the trick if you’re looking for an inexpensive set of headphones to use while exercising. They sound a bit tinny, although they pump out a decent amount of bass. While I wouldn’t use them on an everyday basis, they’ll definitely be my go-to during a workout. 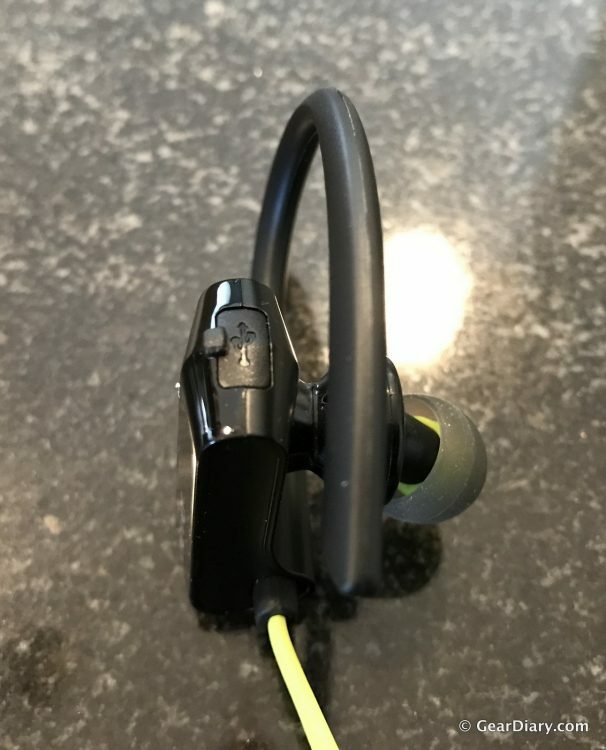 Source: The iClever BoostRun headphones was a manufacturer provided review sample.